(MTA), Microsoft Certified Technology Specialist (MCTS), or a Microsoft Certified Solutions Associate (MCSA) certification. Certified in accordance with DoD 8570.01-M Information Assurance Technician (IAT) Level I for Enterprise Services, and IAT Level II for Transport Services. Private Networks (VPNs), and Network Address Translation (NAT). Please do NOT apply if you do not meet the requirements for this job. 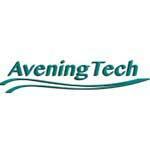 Avening Management and Technical Services, LLC delivers expert management and technical support services to Federal Government organizations engaged in missions related to national security. Our experience includes information technology; database, systems and network engineering; information, network and systems security; information assurance, asset management; customer service and support; program management; acquisition support; web development services; and subject matter and domain expertise in Command, Control, Communications, and Intelligence (C4I).